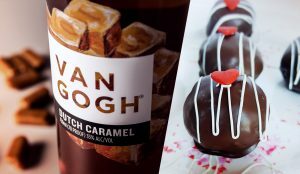 From Dutch Chocolate to Vanilla to Double Espresso and more, there are a number of Van Gogh Vodka expressions that make deliciously decadent dessert cocktails. But don’t relegate your favorite just to the glass—Van Gogh’s bold, vibrant flavors are the perfect way to add a little spirit to your desserts. These sweet infusions, developed especially for us by baker Dawn Belisle of Delights by Dawn in Atlanta, are elevated by the inclusion of our uniquely authentic expressions. Coat 1/2 cup of raspberries with sugar and 1 tablespoon of Van Gogh Raspberry Vodka, set aside for about 10 minutes. Combine white cake mix, French vanilla pudding, eggs, vegetable oil, and 1 cup of Van Gogh Raspberry Vodka and the raspberry-sugar-vodka mixture from above. Mix on medium speed for about 1 minute. Fill cupcake liners 2/3 full and bake for 18 minutes at 350 degrees or until toothpick comes out clean. Remove from oven and allow to cool. 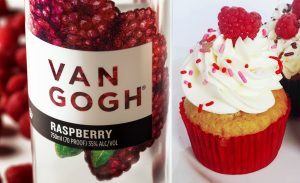 Once cupcakes have cooled and before adding the frosting, put the remaining Van Gogh Raspberry Vodka in a small, shallow bowl and dip the top of the cupcake in the vodka until the top is covered, but not overly saturated. Allow the raspberry vodka to soak in for about five minutes before frosting. For the frosting, melt the white chocolate and let it slightly cool, it should be pouring consistency. Using a hand mixer, or if using a mixer use the paddle attachment, beat the butter on medium speed for 1 minute. Scrape the sides down. Put the mixer on low speed and slowly add the confectioners’ sugar. Next, quickly pour in the melted white chocolate and then beat again for 2 minutes on medium speed until creamy. Add coffee creamer and salt. Beat for an additional 1 minute until combined. Frost the cupcakes and decorate as desired. Put wafers in a food processor and process until fine. If you don’t have a food processor put wafers in a resealable gallon food bag and use a rolling pin to crush until fine. Place wafer crumbs in a bowl and add confectioners’ sugar, corn syrup and Van Gogh Dutch Caramel Vodka. Mix until well until combined. Using a small cookie scoop or a heaping tablespoon, scoop the dough and roll into a 1-inch bite-sized ball. Melt the chocolate and then dip the bites into the chocolate until covered entirely. Place dipped bites on a wax sheet of paper to harden. 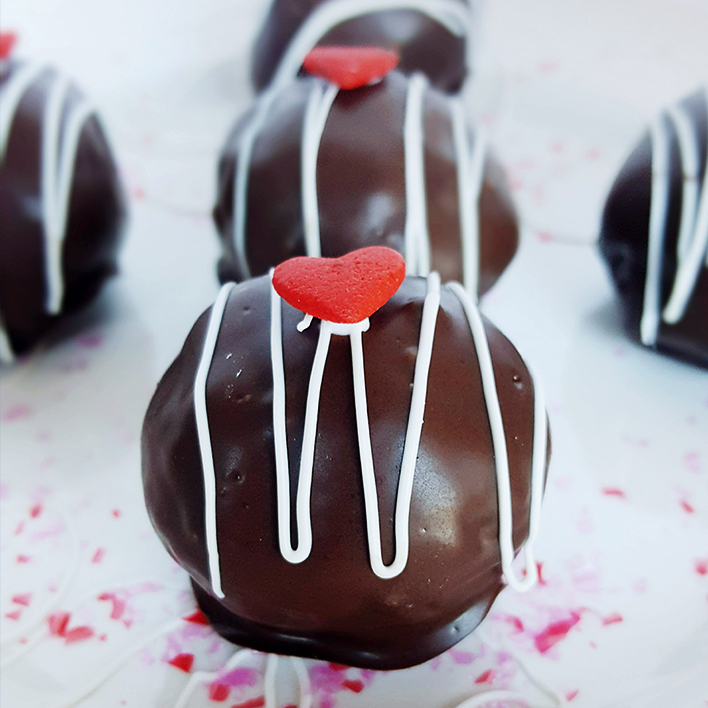 To decorate, add sprinkles or colored sugar before the chocolate coating hardens. Store the Dutch Caramel Vodka Bites in an airtight container. Bites are best when made ahead of time and stored for 1 to 3 days to allow all the flavors to meld before serving.